The head of World Rugby has confirmed the sport's international residency rule is being reviewed. Under current regulations, players who have yet to make an international appearance can play for a country after having lived there for three years. But World Rugby chief executive Brett Gosper and president Bernard Lapasset believe it is time for a review. "We are doing a consultation with the unions to determine what their view is," Gosper told BBC Radio 5 live. "What we are going to do is look at it. Certainly Bernard Lapasset feels it is something that needs to be looked at and I think I share his view." All four of the home unions - England, Wales, Scotland and Ireland - have fielded players recently who have qualified through the residency system. The South Africa-born pair of Josh Strauss and WP Nel have been included in Scotland's 46-man World Cup training squad, with both becoming eligible shortly before the tournament, while the New Zealand-born Jared Payne is a regular in the Ireland midfield. 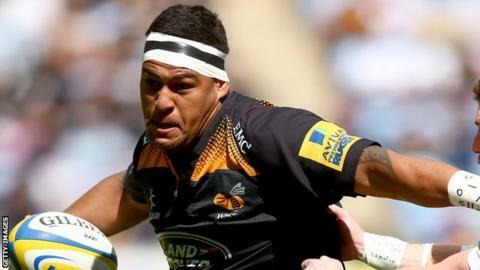 The Wasps number eight Nathan Hughes turned down representing his native Fiji at the upcoming tournament, and becomes eligible for England in 2016. Hughes is on the radar of the England management. "The integrity of the international game is important, there is a lot of player movement internationally, and we just need to take stock. Is this the right rule now? We will come to an answer on that," Gosper added. "I don't want to speculate on an outcome, but I think it's good we are looking at it. "Things have moved on since the last time we have looked at it, and there just maybe a different decision on it than there was last time."